We know that there are some resources you can buy from catalogues and some you can make yourselves. Fafunia is moving from these kind of resources, even though we have sold quite a lot in the past. Our new commitment is to provide age and stage resources – from play blocks to full buildings. All of them are built in England and wherever possible we will use UK materials and recycle and upcycle where we can. Our buildings are not the cheapest in the world, but do offer real value for money, combined with materials that will substantially reduce running costs. So high levels of insulation, timber that needs no treatment EVER and lighting that is better for children’s eyes and costs less. We will maintain a shop on our website showing items we make and their cost and of course we don’t mind selling lots of them – our manufacturing team like their wages every month…. However, we pride ourselves on being able to meet your needs – we know one size does not fit all. So if you are looking for something bigger, smaller, higher, lower or just very different, speak to us. Fafunia is a wonderland for the imagination - a place or a space where parents and practitioners can support learning and skill building through play. 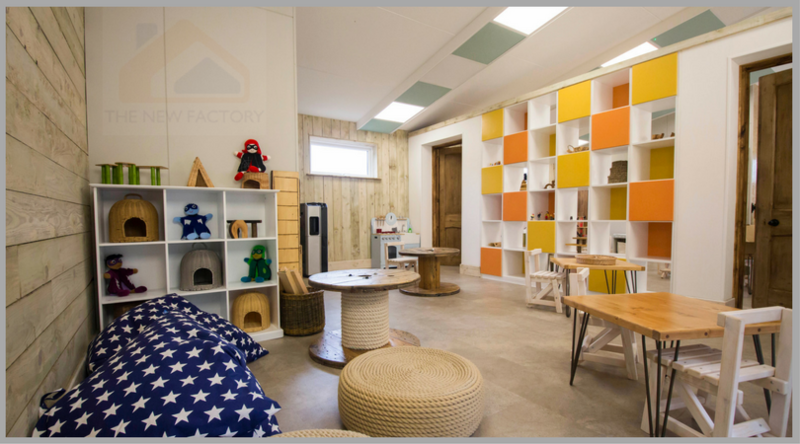 Fafunia has been developed and created by early development specialists with an emphasis on open ended play and child led learning. Our core ethos is to meet the child and thier environment, as it is in that moment. This is there not as a catalogue - but an invitation for a dialogue as we enjoy and build all of our product development on working with parents, teachers, nursery practitioners and other caregivers that respect and understand children.